When it comes to handling logistics, management is certainly the key. 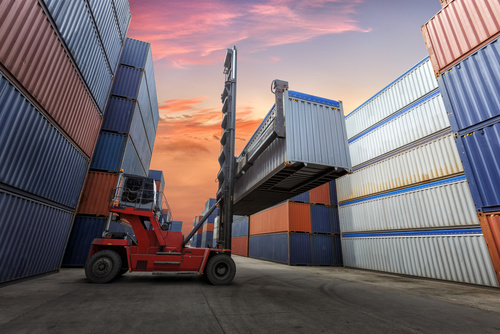 Moreover, an efficient supply chain management framework thrives on perfect coordination and automation— arguably the most prior aspects of logistics management. Apart from that, businesses are increasingly concentrating on network optimization alongside logistics management and following certain tried and tested strategies for achieving desired results. Last but not the least, most of these strategies are aimed towards streamlining the entire process of logistics planning and improvising the associated processes. Businesses must understand that initial planning encapsulates every other factor associated with logistics management. Be it looking at the product procurement, product deliveries or storage facilities; planning covers every industrial parameter and helps organizations devise concerned flowcharts. Moreover, the entire purpose of planning is to improve productivity and therefore the former can be considered as an essential logistical tool. The entire hierarchy of a pre-planned approach involves the products, organizational issues, and even transportation worries. In addition to all that, planning also encompasses the contingencies in case of logistics failure. When it comes to enlisting the nooks and crannies of a logistics management plan, automation comes across as an indispensable tool. While automation improves the efficiency of the entire organization, it also plays a vital role in the optimizing the business processes. Deploying an automated strategy helps enterprises keep a track of dispatched goods, warehouse storage options, and even delivery options. This, in turn, saves a lot of time and money while improving the accuracy associated with logistics management. Logistics management feels incomplete without discussing about warehouse management. However, the way organizations plan out the latter entirely depends on the type of inventory. While perishable goods require drier warehouses, dairy and similar entities can be stored best in warehouses with excellent refrigeration facilities. Another warehouse-specific strategy would be to increase the overall storage capacity by adding columns, if necessary. Businesses can further automate the inventory storage process by opting for smart warehousing options. Last but not the least, training the warehouse staff is also a prerequisite. An efficient transportation strategy is essential when it comes to drafting a functional logistics management plan. Businesses must look to improve the transportation facilities; thereby decreasing the hassles associated with untimely deliveries. Additionally, an efficient transportation strategy helps determine the best route for product delivery followed by cost-effective and viable packaging options. Every logistics management plan needs a team to function properly. However, a synergized approach to team building is possible only if companies invest properly in employee training and workshops. Apart from that, logistics management also requires excellent interpersonal skills within the organization followed by higher levels of employee satisfaction. All these factors are taken into consideration if businesses value their relationships with employees and the concerned staff. Integrating measurement is essential while drafting a logistics management plan. Measuring the extent of network optimization is important when it comes to analyzing the state of improvement. This helps the organization gather valuable feedbacks. Companies must get hold of excellent software and measurement tools for determining the genuineness of the available information. Once the information is leveraged for improvising the existing strategies, it all comes down to planning the subsequent logistics management steps. This involves analyzing service, cost and cycle metrics while keeping the eyes open for genuine feedbacks. Trumping over the competitors isn’t easy and it would take an excellent logistics management plan to achieve extraordinary results. Firstly, organizations must adopt latest technological innovations, going into the future. In addition to that, they must aim towards increasing efficiency of their operations thereby ensuring higher levels of customer satisfaction. Moreover, it is the process optimization that helps companies draft efficient logistics management plans in this extremely competitive arena. Adding to all these, it is a well-known fact that majority of organizations are actually struggling when it comes to incorporating the mentioned strategies for the purpose of creating an efficient logistics management plan. However, the enlisted ideas are quite easy to implement and must assist any organization when it comes to the logistical network optimization.